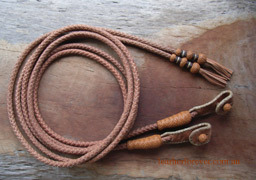 Master craftsman Jozef Petrasovic creates custom, handmade, hand plaited, leather & rope horse tack. Jozef uses the traditional Argentine Gaucho style which is world renown for quality and strength. You will love the quality.. and what's more, so will your horse! 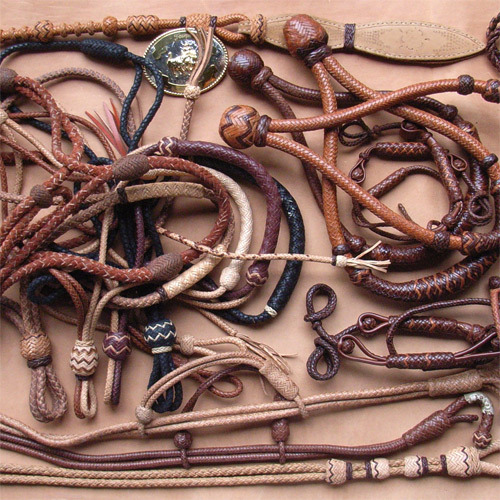 Bosals, Leather Plait Bridles, Rope & Leather Halters, Leather Curb Straps, Mecate, Hackamore Jozef is able to offer these handmade quality products at great prices and can ship to anywhere in the world. 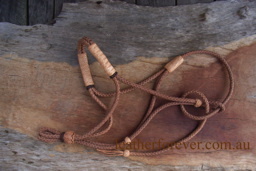 A bosal is a type of noseband used on the classic hackamore of the vaquero tradition. It is usually made of braided rawhide and is fitted to the horse in a manner that allows it to rest quietly until the rider uses the reins to give a signal. 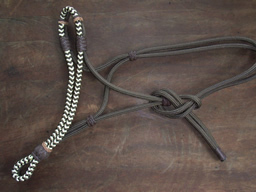 Reins are items of horse tack, used to direct a horse or other animal used for riding or driving. Slobber Straps are a double strap of leather with a hole in both ends. They are normally used with a snaffle and mecate reins. A halter, headcollar, or, less often, headstall, is headgear that is used to lead or tie up livestock and, occasionally, other animals; it fits behind the ears (behind the poll), and around the muzzle. 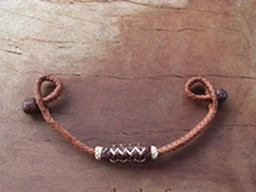 To handle the animal, usually a lead rope or lead shank is attached. A curb strap, or curb chain, is a piece of horse tack used on any type of curb bit. 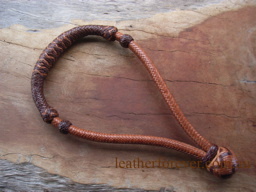 It is a flat linked chain or strap that runs under the chin groove of the horse, between the bit shank purchase arms. It has a buckle or hook attachment and often has a "fly link" in the middle to apply a lip strap. A bridle is a piece of equipment used to direct a horse. As defined in the Oxford English Dictionary, the "bridle" includes both the headstall that holds a bit that goes in the mouth of a horse, and the reins that are attached to the bit. Up until the last 100 years, people have been testing horses’ courage to fight in wars, the horses’ stamina to clear the forests, their strength to work in the fields, their endurance to convey vital messages and carriages of people, mail and valuables over great distances; and testing their racing speed - history reveals that people have depended on the courage, stamina, strength, endurance and speed of horses over millennia. Side by side, horses and humans share credit for progress in farming, mining, railroads, fire engines, forestry and police service. 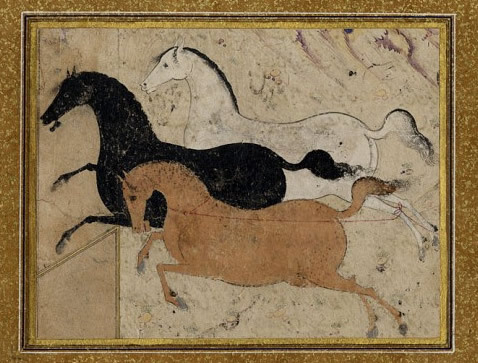 Without the work demanded from horses, it would have been much harder for Persians, Mongolian Hordes, Greeks, Romans, and Chinese both BC and AD, to even make war. We continue to be mesmerized by the rides of Xenophon, Julius Cesar, Genghis Khan and Napoleon. Though underestimated, the horse is still celebrated and adored. At the end of the day, we most appreciate the rides on our own beloved horses, and the close bonds of loyalty and friendship that we share. Horse and rider- united by our mutual passion for the perfect ride. 2019 © This Wordpress site built, hosted & maintained by Smart Arts Marketing, Lennox Head.